Five star caravan insurance for six years! 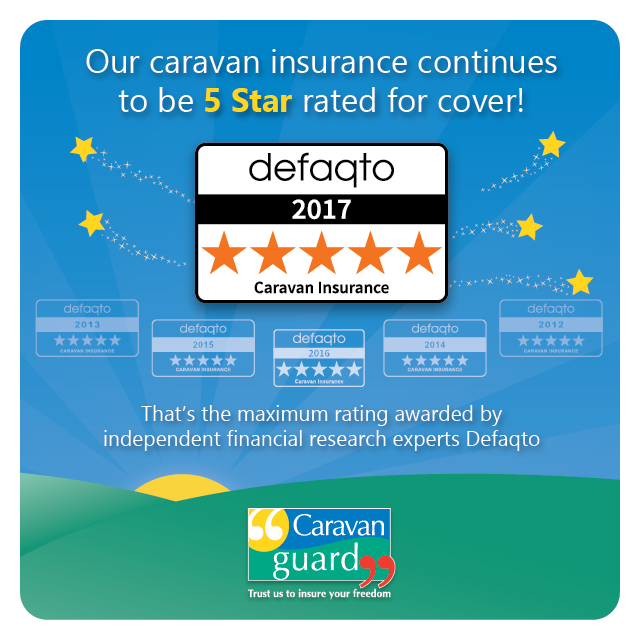 Our touring caravan insurance has received the maximum 5 Star rating for the sixth year by independent financial researcher Defaqto. Defaqto, has compared caravan insurance policies from all providers and given our tourer policy the maximum 5-star rating for its comprehensive range of features and benefits. The policy also offers superb levels of protection for caravan owners, with policyholders benefiting from extensive cover for fire, theft, storm, flood and accidental damage. Caravan Guard’s caravan policies are underwritten by leading UK insurer, Royal and Sun Alliance Insurance Plc (RSA). Customers have the option to insure their caravan on a new for old or market value basis and careful owners can benefit from a range of great discounts for the safety and security devices fitted to their tourer. Other benefits of the 5 star policy include cover if a caravan’s awning is damaged by bad weather, up to 240 days European cover and emergency accommodation cover. 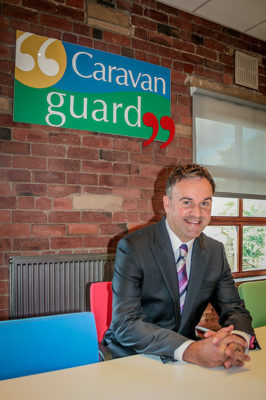 Our Director of Relations, Neil Menzies, said he was very proud our touring caravan policy had been rated 5-star once again.